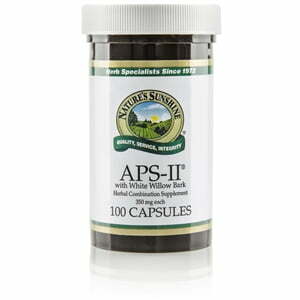 APS II® with White Willow Bark promotes nervous system function. The two key ingredients, white willow bark and valerian root, encourage proper nervous system function. White willow, in particular, with its key component of salicin, helps stop the body from producing prostaglandins. Valerian root is known for its calming properties. 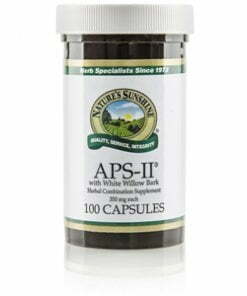 Nature’s Sunshine APS II with White Willow Bark formula also contains trace amounts of calcium and magnesium.